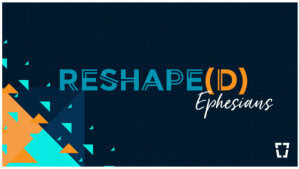 Watch Youth Ministry Lead Will Mitchell's message from February 24th on how the gospel reshapes parenting from Ephesians 6:4 for our series on Ephesians: RESHAPE(D). Your browser does not support HTML5 audio. Please use the "Listen to Audio" button above to download the MP3.